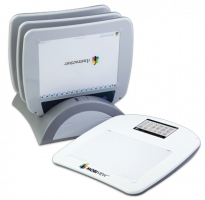 The Interwrite Learning Interactive Classroom products provides the most effective, powerful interactive educational system on the market today. Any combination of Interwrite Boards, Pads, Panels, all which include Interwrite Software, provides a dynamic collaborative environment that both engages your students and encourages participation. Interwrite Software provides the tools to make the interactive classroom a reality. Interwrite Software is the primary focus of the tutorials in this section. It will explore the functions, features and tools of Interwrite Software so you can see how they can be used to prepare, present, save, and distribute lessons that will keep your students engaged, motivated and inspired to learn.